Agatha Christie's mysteries are more popular than ever. A new production of Witness For The Prosecution is currently a hit on the London stage and Kenneth Branagh's big screen version of Murder on the Orient Express was well received. The three-part BBC TV blockbuster, Ordeal of Innocence, created quite a stir when it was transmitted at Easter, not least because the ending and identity of the murderer was changed from the original book. Now touring the UK, the rarely seen psychological thriller Love From A Stranger has been revived by director Lucy Bailey. 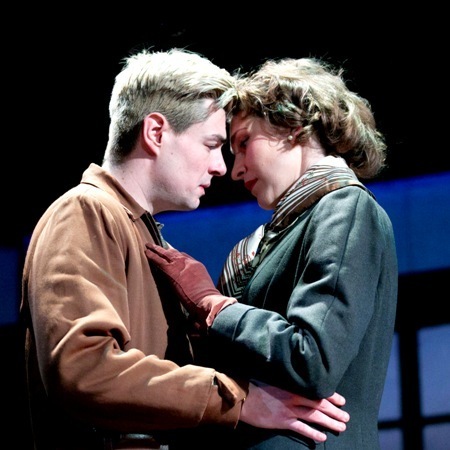 Heavy with suspense and atmosphere, it is at Birmingham's New Alexandra Theatre until May 19. The play's roots can be traced back to a Christie short story, Philomel Cottage, which was published in 1934 as part of the collection, The Listerdale Mystery. Dame Agatha wrote a version for the stage but it was never performed. However, actor Frank Vosper thought it would be a good vehicle for him in the lead part so revised it for a West End run in 1936. 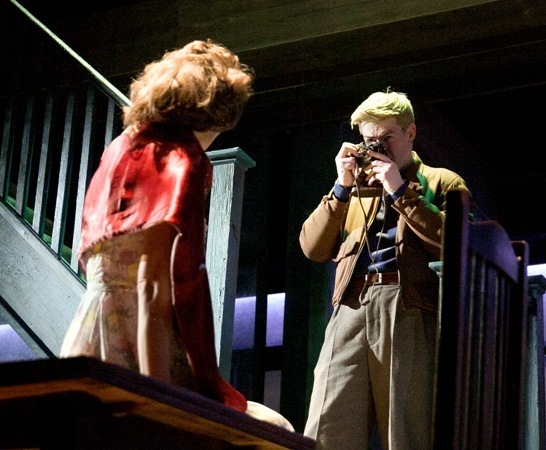 Lucy Bailey's, set in 1958, is influenced by the 1960 film Peeping Tom. The claustrophobic feel is created by designer Mike Britton's set, all dark paint and pokey rooms, and imaginative lighting. We meet Cecily Harrington (Helen Bradbury) who, having won a substantial sum of money in a sweepstake, is preparing to rent out her Bayswater flat before she marries Michael Lawrence (Justin Avoth) who is returning to England after three years in Sudan. These upheavals in her life make Cecily realise that she yearns for adventure so she calls off the wedding and, within hours of meeting him, hooks up with Bruce Lovell (Sam Frenchum), an American resident who is keen on photography and who has come to view her flat. The second half of the play is set in that staple of an Agatha Christie story, a remote cottage, with no telephone. With Cecily and Bruce married and settling in together, there are regular visits from the village doctor, the gardener and a maid, but there is always a feeling of danger, particularly when Bruce becomes secretive about, among other things, a photo album, a postal delivery of books and his photographic darkroom. There are dark undertones but lighter moments are supplied by the snobby, yet strait-laced Aunt Lou Lou (Nicola Sanderson), the flirty maid Ethel (Molly Logan) and Cecily's former housemate Mavis (Alice Haig) who is appalled that Cecily is ditching dependable Michael for extrovert Bruce. The tension builds slowly and effectively as seemingly random events leave the audience wondering how significant they are in the grand scheme of things. And who, if anyone, is telling lies and keeping secret. This patient build-up leads to a hurried, yet effective, twist to the tale. Christie fans know something's coming – but it still proves to be a surprise when it arrives. July 17 – 21: Theatre Royal, Norwich.